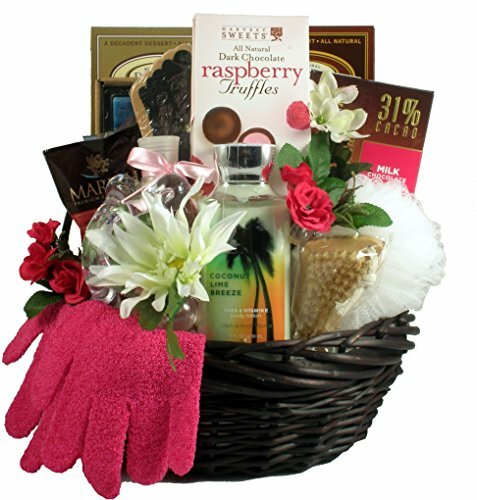 This unique spa basket was tastefully designed especially for women. She will be eternally grateful when she gets to enjoy the day pampering herself with some of the exotic bath and beauty products carefully selected and arranged in this spa basket. We have also included a few of our favorite indulgent chocolate treats to truly spoil her. 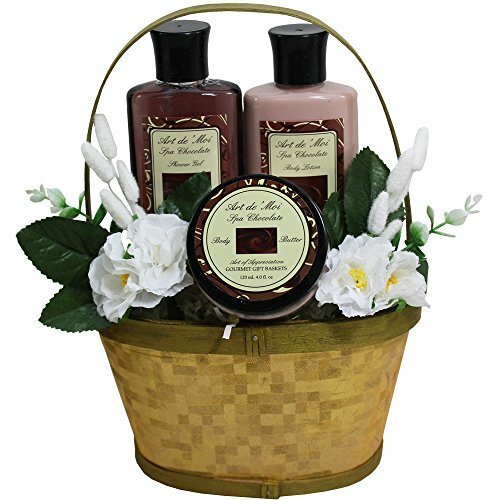 Her indulgent home spa treatment features a handcrafted willow basket in an elegant glossy black finish. It arrives filled with a loofah and terry bath mitt, a terry back strap (for those hard to reach places), a decorative wire and rope rack gift set containing sweet pea shower gel, bubble bath, and lotion, an exfoliating puff, a gift boxed set of four aromatherapy candles and stoneware holder by deco glow, a notepad and pen set, a box of decadent chocolate truffles, Godiva dark chocolate, and a large box of delicious hazelnut chocolates. 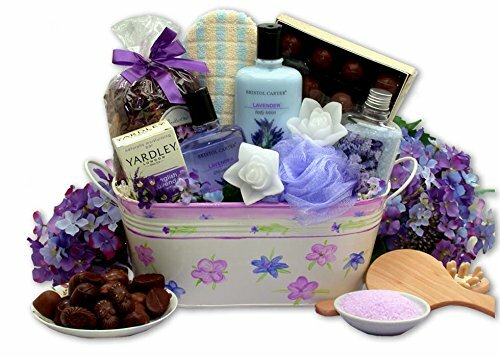 This exquisite home spa collection is trimmed to perfection with life-like silk floral accents, ribbons and bows, this is a wonderful gift that she will truly enjoy. It's a chocolate fantasy come true, all in one elegant gift package. Exclusive Art de’ Moi Chocolate Truffle Spa products pamper them in luscious fragrance from head to toe, while taste buds delight in melt-in-your-mouth Belgian Chocolate Truffles. Now that's chocolate bliss! 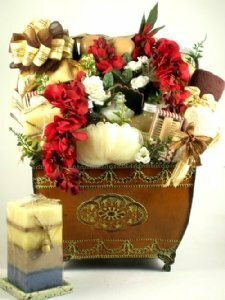 This gift is beautifully presented in a golden gift box with lid that makes handy storage or décor. Each basket is hand crafted with attention to detail, shrink wrapped and tied with a bow for presentation, ready for gift giving. Add a personalized message with your order by selecting gift at check out. Ice Packaging Option includes insulated packaging, ice packs, and special attention necessary to prevent melting when temperatures are over 75 degrees (typically May-Sept). It's a honey of a gift, filled with sweet sentiments and honey scented spa products to soothe and relax her tired body and soul! You’re lucky Queen Bee will be all abuzz when she dives into this bright and reusable gift tote. Honey Almond Shower Gel,Honey Almond Moisturizing Lotion,Honey Almond Body Scrub,Honey Almond Bath Salts,Yellow Spa Towel,Soft Cotton Spa Slippers,Chocolate Dipped Truffle Cookie,Yellow Gift Tote.Each basket is hand crafted with attention to detail, shrink wrapped and tied with a bow for presentation, ready for gift giving. Add a personalized message with your order by selecting gift at check out. 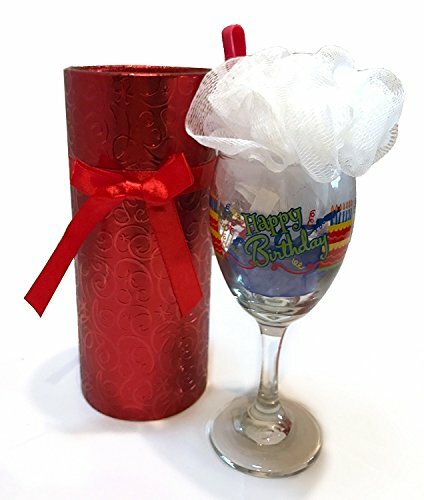 The Spa products featured in this gift are part of the luxurious Art de’ Moi Spa Line, manufactured and distributed exclusively by Art of Appreciation Gift Baskets. As she discovers all the spa products and fantasies of an afternoon of personal pampering she will find: creamy vanilla dolcetto finger cookies, chocolate dolcetto finger cookies, chocolate peanut delights, dark chocolate covered graham crackers, chocolate covered cherries, Godiva chocolate truffles, dark chocolate raspberry truffles, mesh body puff, scented bath salt, scented 5 piece candle set by deco glow, exfoliating body gloves, pedicure groomer, manicure groomer, scented body lotion massager. The stress of the day behind her will melt away with this sweet escape basket. Her indulgent home spa treatment includes: decorative square scented pillar candle with stoneware candle holder set of Turkish Mediterranean washcloths mesh exfoliating puff wooden, two-sided manicure brush hardwood pedicure groomer gift boxed loofah and terry bath back strap classic spa bath slippers gift boxed loofah cleansing body sponge bamboo massager with hand strap wooden back roller Zen bath salts rose soap petals creamy pure pleasure soothing vanilla milk scented body lotion pure pleasure vanilla milk bubble bath pure pleasure vanilla milk skin softening bath and shower gel hardcover floral journal indulgent chocolate truffles this deluxe spa gift basket is all trimmed to perfection with silk flowers and ribbon and presented in this large (9inch height x 12 1/4 inch width x 9 inch diameter) and very elegant planter with an embossed medallion design. 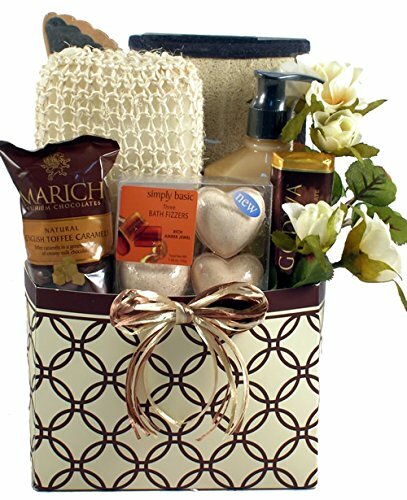 This indulgent spa gift basket for her is a great way to show you care and remembered. Inspire her with luxurious scented bath products, wonderful spa gifts, and indulgent gourmet chocolates! This InSPArational gift includes the following: Scented Bath Crystals A Terry Cloth Bath Sponge A Godiva Solid Dark Chocolate Bar English Toffee Caramels Vanilla Cream Caramel Hand and Body Lotion An Exfoliating Bath Strap A Hardwood Pedicure Groomer This simple Autumn themed gift basket says so much without spending too much and it will be appreciated and remembered for a long time to come. Looking for more Bath Chocolate Gift Basket similar ideas? Try to explore these searches: Stripe Italian Silk Necktie, Chantelle Women Underwear Briefs, and Harbor Mural.